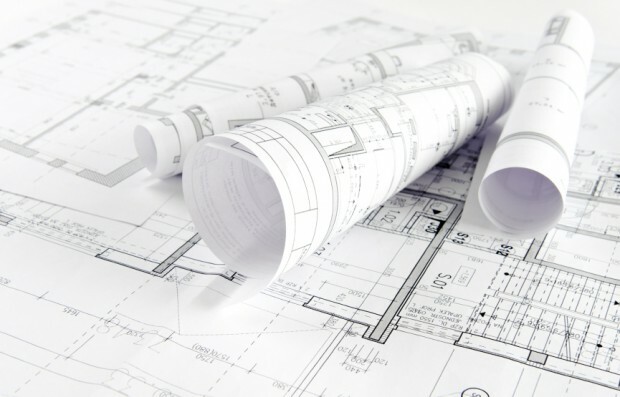 Choosing a floor plan is one of the most exciting aspects of designing your new custom home in Calgary. One of the primary benefits of owning a custom home is your ability to control every aspect of the house’s layout. If you have unique ideas, or if your career or lifestyle requires a departure from conventional thinking, the custom construction professionals at Fine Line Homes can create a beautiful house that meets your exact specifications. What is your family situation like? Families with young children have many different needs than families with older children and kids in their teens. Ideally, you’ll want to create an adaptable floor plan that delivers flexibility as your family grows and gets older. If you have young children, chances are you’re going to want to create private, quiet, out-of-the-way areas for you and your spouse to enjoy. If you have teenagers, it’s a good idea to create a sense of separation, particularly among the bedrooms. Teens value their privacy, and chances are you’ll enjoy a much happier household if you can give it to them. How often do you entertain? One thing to consider if you regularly entertain a large number of guests is a generously sized vestibule. This will give visitors plenty of room when they arrive, and will offer plenty of space for storing shoes, coats and other items they may bring. Also, consider how much of your home will be visible the minute someone walks in the door. If you prefer certain areas to be kept more private, a floor plan that creates separation between the front entrance and the main-floor rooms will work well. Single-level or multi-level? Multi-level homes give you more freedom to design private areas, but they also create issues like overhead foot traffic. Creating a wide, single-level layout is a good alternative to consider if you’re building on a larger lot. Do you have specialized accessibility needs? Building wider hallways and limiting staircases is an excellent way to improve your home’s overall accessibility. These options are well worth considering if your household has younger children or older adults with special needs. How much outdoor space do you want? Building a multi-level home is a great way to maximize your outdoor space, particularly if your lot size is somewhat limited. Vertically oriented living allows you to make the most of your lot, facilitating generously sized front and back yards without compromising your indoor living space. Of course, you need to make sure your new home meets local building codes and safety requirements. Fine Line Homes will take care of all aspects of your build, and the City of Calgary offers comprehensive information if you have any questions about codes and statutes in the meantime. Fine Line Homes is a leading builder of custom homes in Calgary and the surrounding area. We employ a tested-and-true building process that prioritizes the client at every step of the way. You’ll be involved and in the know at all times, from the moment we sit down to start planning your dream home until the day you move in. Visit our showcase to view some fine examples of our completed homes, or contact us at Fine Line Homes for a free estimate, or any further information you may need about your new custom home in Calgary.